Bring Color to Your Pavement. ColorPave is a 100% acrylic premium colorized pavement coating designed to bring new life and color to pavement surfaces. This high-quality decorative coating beautifies and protects asphalt pavement while providing a durable, long-lasting finish that will enhance the overall appearance of any property. It is fortified with select mineral aggregate to provide slip resistance and added traction for both pedestrian and vehicle traffic. Superior Quality Decorative Coatings for Pavement Surfaces. ColorPave decorative coatings feature 100% acrylic resins to ensure long-term protection from the elements in all climatic conditions. Specifically engineered formulations produce highly durable pavement coatings designed for both pedestrian and vehicle traffic. ColorPave is available in several earth tone colors as well as lighter “cool pavement” colors that may qualify for LEEDS credits. 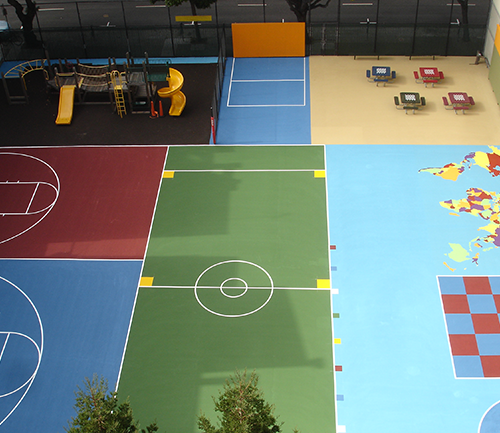 ColorPave colors complement and enhance the pavement and surrounding areas. ColorPave products are backed by a nationwide and worldwide network of professional applicators. Your local ColorPave applicator is available to provide on-site product recommendation and application services. Enhance Your Property with Natural Colors that Bring your Pavement to Life. Natural earth tones will enhance and protect your driveway, parking lot, path or walkway. With many standard colors, you will be able to find the perfect color to complement your property and make it stand out among the typical asphalt surfaces. Lower Energy Costs by Reflecting More Light. ColorPave & ColorPave HD are one of the leading technologies in the emerging world of cool pavements. Cities are increasingly finding that using light-colored materials for pavement can keep their communities cooler. Cool pavements are part of many ways communities are exploring to reduce what is known as heat island effect. Cool pavements refer to materials that reflect more solar energy, enhance water evaporation, or have been otherwise modified to remain cooler than conventional pavements. ColorPave & ColorPave HD feature select colors that have high amounts of solar reflectivity and will meet LEED requirements for reducing heat island effect. The acrylic coatings are ideal for preserving and beautifying golf cart paths, driveways, college campuses, parking areas and any asphalt surface that needs to be brought to life. 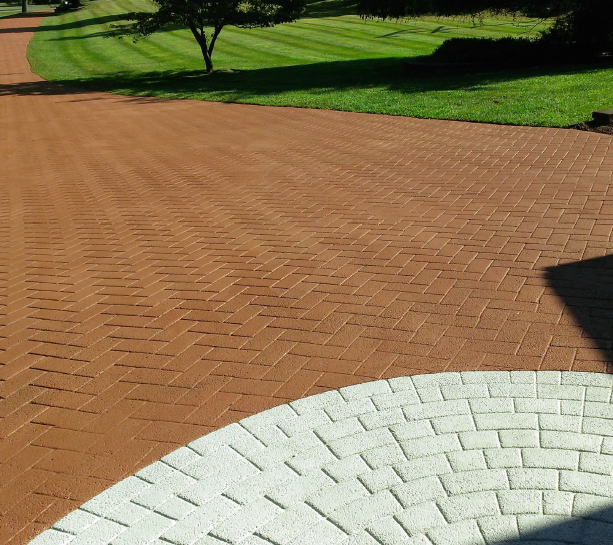 Add some curb appeal to your property today and help reduce heat islands with ColorPave & ColorPave HD. Thermal infrared (left) and visible (right) images of a road with light and dark segments. The infrared image shows that the light segment (bottom) is about 17°C (30°F) cooler than the dark segment (top). 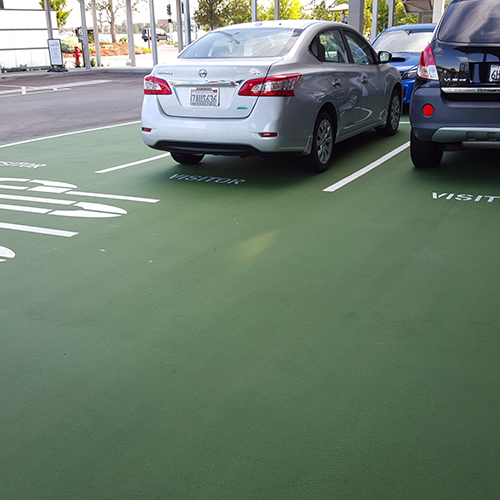 Help Customers Navigate Your Property with Color-Coded Pavement. 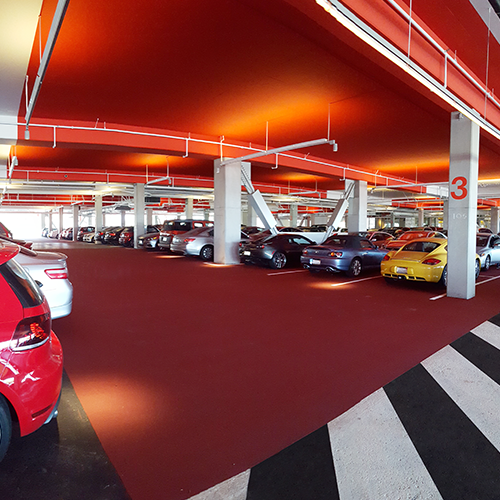 Facebook (to the left) used ColorPave to code their parking lots, making it easier for employees and guests to navigate through the multi-level structure. 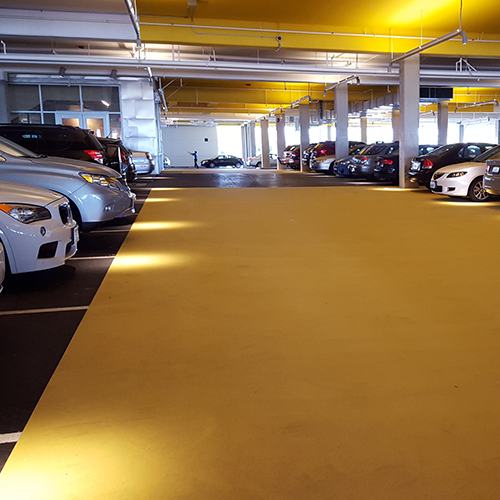 With many standard colors, ColorPave can make sense of any parking lot, path, or walkway. 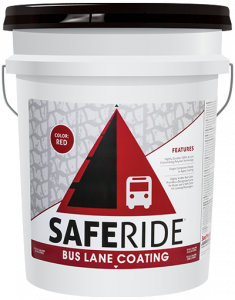 Safe Ride is primarily designed for bicycle lanes on asphalt streets and roads. 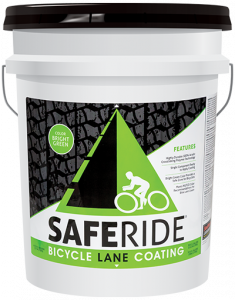 Safe Ride provides a Safe Zone for bicyclists on city streets and other high traffic roadways. ColorPave HD 500 is supplied as a Neutral Base designed to be mixed with ColorPave HD Tint or ColorPlus Pigment Dispersion to achieve the desired color. ColorPave is ideal for coating imprinted asphalt surfaces. 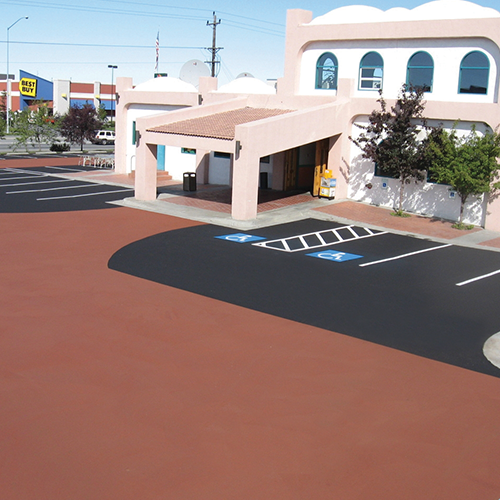 SealMaster offers a full line of colored pavement coatings in the ColorPave family. ColorPave Neutral Concentrate is a 100% acrylic formula designed for mixing with ColorPlus Pigment Dispersion, HD Tint, sand, and water. 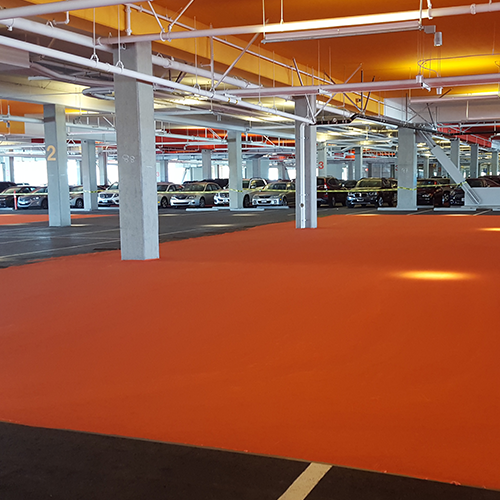 ColorPave Neutral Ready-Mix is fortified with sand for maximum durability and ready-to-use with only the addition of ColorPlus Pigment Dispersion or HD Tint. ColorPave HD Tints are water-based pigment dispersions with UV resistant colors for lasting performance. Enhance and protect your colored pavement surface with HD Clear Coat. 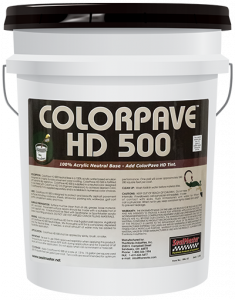 ColorPave HD 500 is a neutral base ideal for coating imprinted asphalt surfaces. Just mix with HD Tint or ColorPlus Pigment Dispersion to achieve the desired color.